You know what I am grateful for! Happy Thanksgiving and I know you will enjoy!! 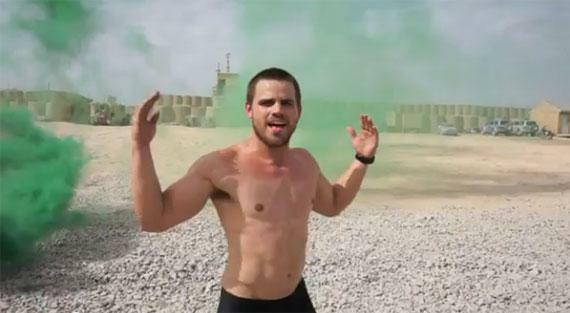 At first we were bowled over that a group of hot-looking servicemen were willing to “go there” in a homage video forCarly Rae Jepsen’s song of summer, “Call Me Maybe.” Then we learned it was actually a scene-by-scene re-creation of a similar video made by the Miami Dolphins Cheerleaders. Hey, whatever machinations you guys have to go through to make it okay to do stuff like this is fine with us.